The first Verdicchio grapes we gather in the harvest from our younger vines, in order to provide freshness and drinkability. Fermentation and aging in steel. 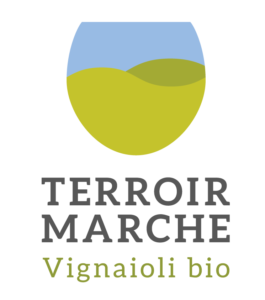 Our Verdicchio fermented with natural yeasts trough the pied de cuve tecnique. Fermentation and aging in steel containers on its own lees for at least 9 months. Few compromises and a lot of terroir. TYPE OF HARVEST: HAND PICKED IN BOXES WITH THE SELECTION IN THE VINEYARD SUCCESSIVE SORTING OF GRAPES ON TABLE SELECTION BELT. AGING: IN STEEL TANKS FOR AT LEAST 12 MONTHS ON THE FINE LEES. From our vineyards average age of plant and double Guyot tipped. Verdicchio 100% fermented and aged in steel. PREFERMENTATION PROCEDURES: Cryomaceration OF the GRAPES FOR 12 HOURS and then SOFT PRESSING. From our eldest Verdicchio vines, start fermentation with spontaneous yeasts aging with rotation of a small mass of wood with multiple steps, and then steel. The idea is that of making a Montepulciano wine where Verdicchio is made and with the same methods, fermented and aged exclusively in stainless steel, with the Montepulciano grapes coming from our vineyards in Montecarotto situated on level ground, lightly exposed to fresh winds coming from the sea. The grapes are harvested at the right point of maturity with a level of sugar that ensures extraction and body. Esposizione e altimetria: Prevalentemente a Nord-Est a 160-250 m. s.l.m. Tipologia di vendemmia: Manuale in cassette con pre-selezione in vigna. Successiva cernita dei grappoli su tavolo da selezione a nastro. Operazioni prefermentative: Macerazione prefermentativa per 48 ore.
From our vineyards in Belvedere Ostrense that have double exposure, both north and south. We use both the grapes exposed to the south and those facing north to balance the typical roundness of the Lacrima grape, in order to obtain a greater freshness and drinkability. Fermentation and aging in steel. EXPOSURE AND ALTITUDE: NORTH-EAST 135-165 M ASL. SOUTH-EAST 120-150 M. ASL. TYPE OF HARVEST: HAND PICKED IN BOXES WITH THE PRE-SELECTION IN THE VINEYARD AND SUCCESSIVE SORTING OF GRAPES ON TABLE SELECTION BELT. PREFERMENTATION PROCEDURES: PREFERMENTATION MACERATION FOR 48 HOURS. FERMENTATION: PREFERMENTATIVE MACERATION AND FERMENTATION AT CONTROLLED TEMPERATURES. A blend of red Montepulciano and Sangiovese grapes from our vineyards exposed in the most ventilated area. Fermented in stainless steel and about 20% of the mass is aging in barrels with more steps. FERMENTATION: COLD PREFERMENTATIVE MACERATION AND FERMENTATION AT CONTROLLED TEMPERATURES. Initial fermentation with wild yeasts, vinification and aging in Slavonian oak casks, manual pressing, at least 18 months in the bottle. FERMENTATION: INITIAL FERMENTATION WITH NATURAL INDIGENOUS YEASTS.